Governor NN Vohra, Chief Minister Mehbooba Mufti and Director General of Police (DGP) have been notified about the incident. Srinagar: A protest erupted in the Kashmir University campus today over the disappearance of an assistant professor. A complaint has been filed with the police to find the teacher who has been missing since Friday. Academic activities have been suspended after the agitation. An assistant professor in the Sociology department, Muhammad Rafi Bhat, has been missing since yesterday. The family of the teacher, who hails from Chunduna village of Ganderbal district, has informed the university authorities about his disappearance. The university's vice chancellor met the protesting students and Mr Bhat's family members to inform that Governor NN Vohra, Chief Minister Mehbooba Mufti and Director General of Police (DGP) have been notified about the incident. The missing teacher has a doctorate in sociology. He also passed the UGC's prestigious Junior Research Fellowship (JRF) competition, after which one can directly pursue doctoral research without passing the M.Phil degree. 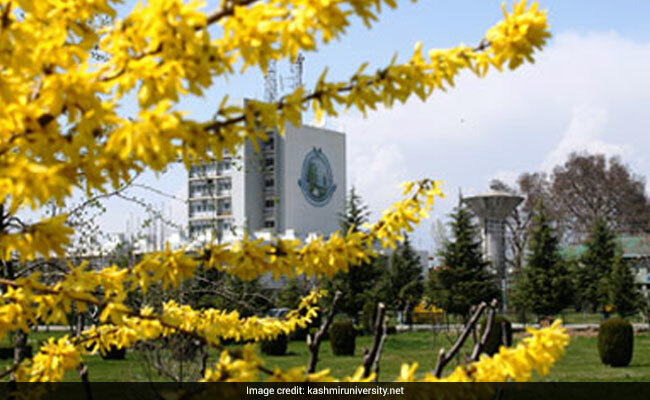 A prestigious institute for higher learning, Kashmir University was in news recently after a student was stabbed in the campus. It was reported that the crime took place following violence between two groups of law students. "The injured student has been shifted to hospital for treatment. One student has been arrested in this incident," a police source had said.